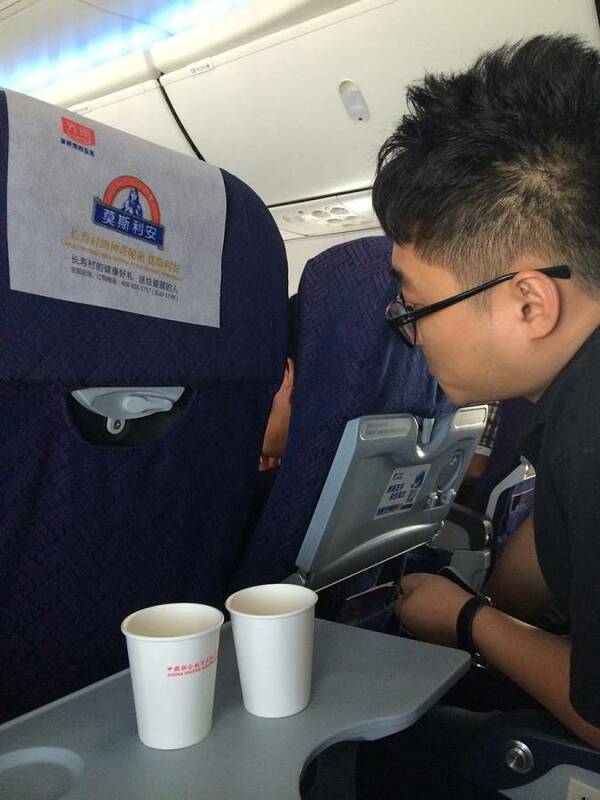 If you thought it really matters which airline company you choose before flying in China, think again. Some will probably disagree with me but I think all the airline companies in China are almost the same! 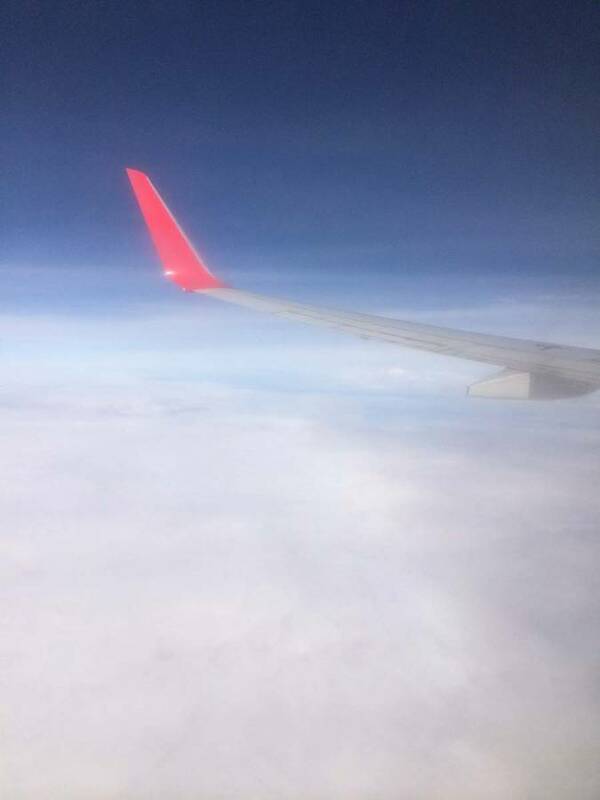 Let me tell you about my flight from today (I’m still on it while writing the post). Let’s start with the fact that approximately 80% of the times I had a delay with my flight. It’s not just the fact that I’m unlucky, you can ask anyone who lives in China, he/she will tell you the same. (And I’m being nice with only 80%). 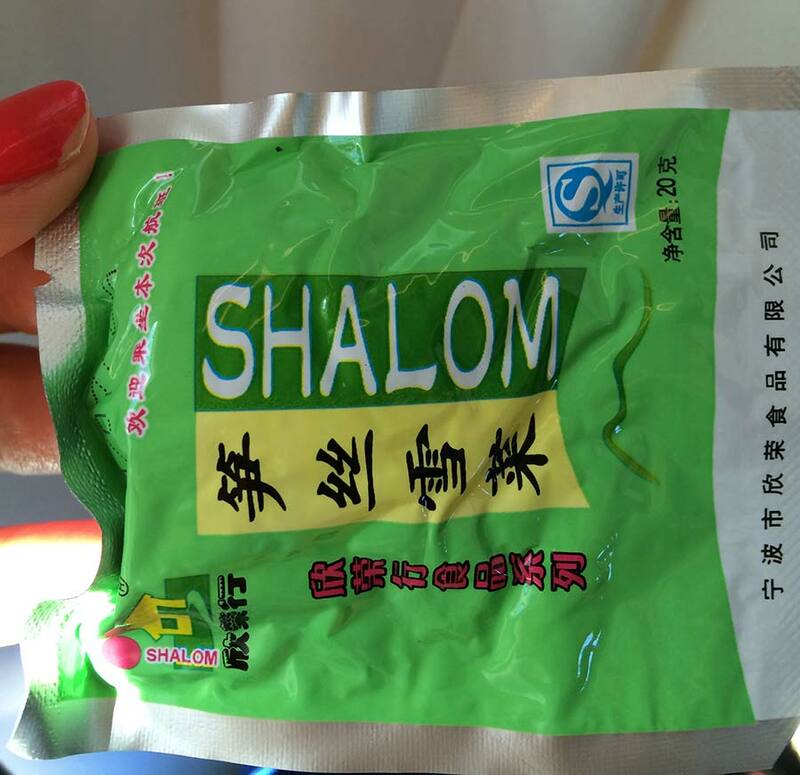 So, after two hours of waiting at the gate – thank god it’s at the gate and not on the plane – we’re on the bus driving for like 20 minutes, all aboard and I’m asking nicely the flight attendant for a blanket when my least favorite word comes: “Meiyou” which means “no have”. I see right next to me a woman with a blanket, so I point at her and the flight attendant goes again with “Meiyou”. So what? You have only 5 blankets for a plain over 300 passengers?? Apparently yes. 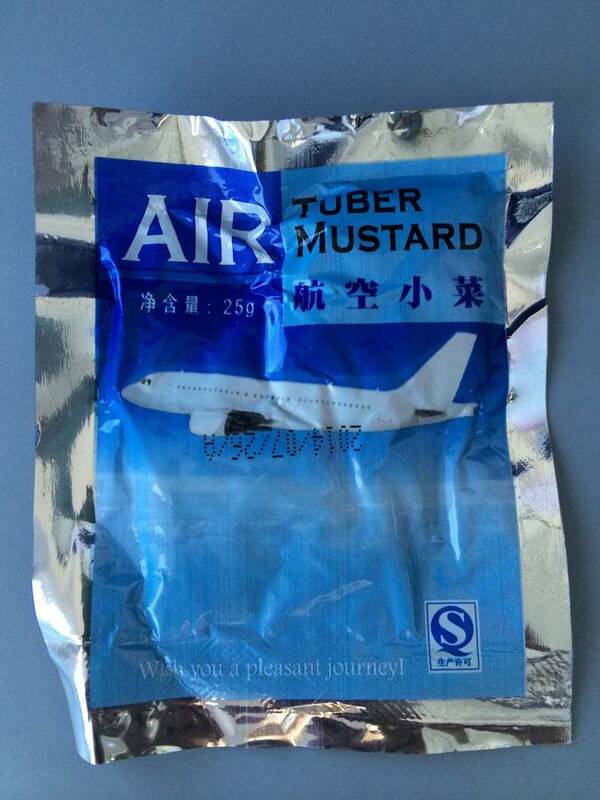 A weird bag on which it says “Air Tuber Mustard”, that is very smelly and looks strange. So the pasta is kind of eatable (I’m not Italian after all), but I can’t really eat with one fork and the sauce is going everywhere! Let’s say I succeed eating with the fork but then next to me, everywhere I hear the sound, the one that comes from clearing the throat (if you been to China you know what I mean). Well, it doesn’t really help the appetite. So, I finish with trying to eat and now I want to get some sleep, but the guy next to me doesn’t stop laughing! Why? He looks at the TV, ohh of course they run the ‘90s candid camera movie. Chinese people I think are the only people that are still laughing at these silly jokes; it is so cute and naive that only they can still like it. (One of my favorite traits of the Chinese people I know). Okay the video is over, I can go to sleep now? No, the guy in front of me is watching on his laptop “Xman 5” (or something..) and it is very very loud! No, he didn’t hear about earphones, we can all hear the movie, but only he can see it. Well the guy next to me also tries to watch it from behind and so are the people that are standing in line for the toilet. The funny thing is that they don’t mind interrupting him, not to lower the sound of the movie, but to ask him how much did his computer cost!? The turbulences are getting worse and worse and the public announcement goes like every ten minutes “please fasten your seatbelts, we have some turbulences please DO NOT WORRY!! !” (In the most worrying voice there is). If I had a fear of flights I would definitely go ballistic right now, but it’s okay, I’m used to it. Maybe it’s just the pilot’s first day? 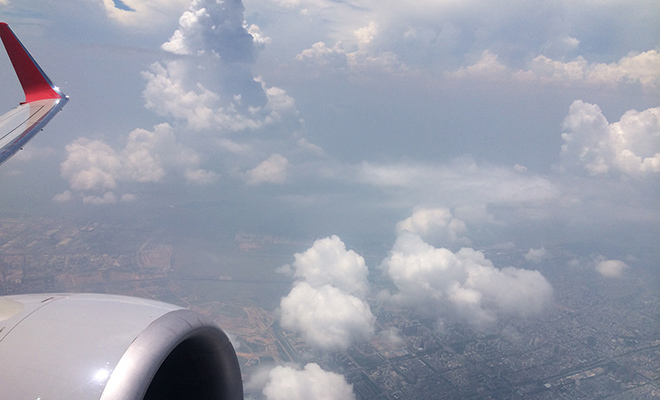 Hope to get to my business trip in Dongguan safe and sound… Can’t wait for my flight back to Beijing!